This Special Edition Griffin’s Club Series III is the last version and completes the Series of three Club Editions. It is created for those who are constantly in search of a modern and entertaining cigar, for those celebrating exciting night outs. With the creation of this popular Robusto format, suited for a memorable nightlife, Griffin’s the brand also represents 31 years of tobacco know-how combined with a modern zeitgeist. Its design keeps building on the success of the two privious Club Editions bringing to life the famous spirit of Griffin’s clubbing. The Griffin’s Special Edition Club Series lll is very exclusive and therefore limited to 25’000 cigars worldwide. It comes in a gorgeous looking Ecuadorian Habano wrapper which provides its special creaminess. The Honduran tobacco in the filler is responsible for the typical spiciness. The draw is perfect with a sharp combustion and a beautiful white ash. A cocktail based on rum would pair perfectly with this special cigar, its spicy flavours and sweetness. 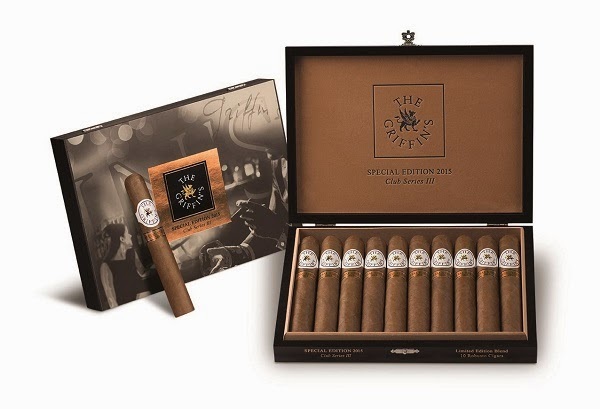 The new Griffin’s Special Edition Club Series lll is available (in boxes of 10 cigars) in the USA and Europe as of February 2015 from selected specialist tobacco retailers. The famous mythical creature, the “Griffin”, gave Griffin’s its name. The symbol has represented the brand from its early beginnings. Griffin’s Cigars were created by Bernard Grobet in 1984 in his private Club “The Griffin’s” in Geneva and have been produced in the Dominican Republic ever. Due to the aficionados’ rising demand the cigars were successfully sold first in Switzerland, then in the US and later globally. In 1992, Bernard Grobet sold the brand to Oettinger Davidoff AG in Basel, Switzerland, which had distributed “The Griffin’s” worldwide and which ever since has constantly been developing the brand’s new cigar lines. (Miami, Florida) March 17, 2015— Roberto P. Duran Premium Cigars & Azan Tobacco Group proudly announces its partnership with Eric Piras. Roberto Pelayo Duran continues to make aggressive moves to further expand Roberto P. Duran Premium Cigars. 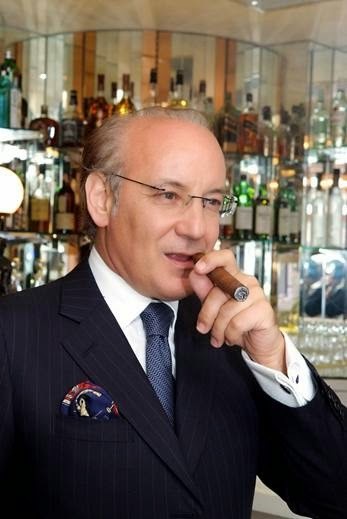 Eric Piras has a high public profile, significant management experience in the tobacco trade and a strong global expertise in sales and marketing for premium cigars. Based in Hong Kong, Eric has almost 20 years’ experience in the cigar industry in Asia-Pacific, and is one of the highest profiles in this sector. Prior to him partnering with Roberto P. Duran Premium Cigars & Azan Tobacco Group, Eric Piras, a French national, joined Altadis (later acquired by Imperial Tobacco Group) in 1999. He then travelled the globe setting up, and strengthening distribution channels for the world’s number one cigar maker. Prior to joining Altadis, Eric was the Regional Director for the Pacific Cigar Company, Habanos S.A.’s exclusive distributor in Asia-Pacific and Canada. 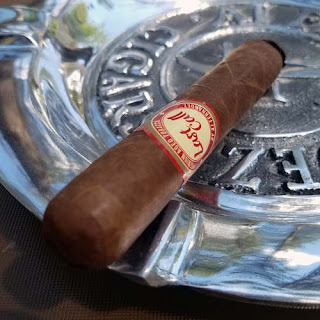 It was during this era that Eric and Roberto Pelayo Duran struck up a lifelong friendship that culminated in them working together, again under the Roberto P. Duran Premium Cigar & Azan Tobacco Group umbrella. Roberto P. Duran began his life’s work in his homeland of Havana, Cuba where tobacco grabbed a hold of him, and never let go. Supervising the production of cigar manufacturing in Cuba was only the beginning as he later went on to assemble and manage distribution of all Cuban cigar brands for Asia at The Pacific Cigar Company Ltd. The creation of Roberto P. Duran Premium Cigars has given Roberto the platform to introduce a brand of cigars that offer the same quality, construction, and detail which he exceeded from those he supervised while in Cuba. 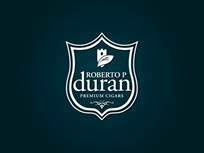 Roberto P. Duran’s brands include Azan Cigars, Roberto P. Duran Premium Cigar, Neya, and Baracoa. For more information about Roberto P. Duran Premium Cigars & Azan Tobacco Group, please visit www.Robertodurancigars.com. For media inquiries and interviews, please contact Creativas Group at info@creativasgroup.com. The flavors and aromas that come from a Cameroon wrapper have made them one of my favorite wrappers for years now. With the combination of a Cameroon wrapper and binder this CX2 Robusto from CAO Cigars was a real treat to smoke. Looking at the Colorado Claro colored wrapper we see it's oily, nearly vein free and rolled on with seamless care. The 5 x 52 Robusto is packed well full length and finished off with a triple cap. From the cold cigar there are notes of sweet fermented tobacco to the nose, while the free draw contains nuances of spicy fruit. Once the cigar is burning the first draws provide an ample amount of medium bodied smoke with rich flavors of toasty, sweet and spicy fermented tobacco. Further up the body more flavors join in. We find oak, more spice, hints of coffee and cocoa plus a bit of brown sugar. While the flavor mix isn't super complex, it is pretty darn tasty. The CX2 wraps up its fifty-five minute burn with a sweet, spicy and toasty finish. In addition to the tasty flavor mix the CX2 had a razor sharp burn line full length and a nice oil sheen developed on the wrapper as the cigar turned to ash. This cigar is definitely a winner in my book. While the Belvedere™ E-cigar from Smart Smoke® has the appearance of "just another e-cigar" it's far from it. Inside the Belvedere™ there are soft and subtle features that make it rise above the rest. Read on and find what makes the Belvedere™ the cream of the crop. First, let's talk about the overall construction. Like I said, on the outside it looks just like many of the other e-cigars on the market. It weighs in at a slightly foot heavy 1.7 ounces and it measures about 6" x 46 ring--It's a bit heavier than comparable products, but that comes into play a bit later. The durable wrapper is printed with a tobacco leaf pattern and it's rolled on tightly full length, (the picture was taken after four days of on and off usage). However the key difference in the Belvedere™ is the bite area. If you've read my other reviews, you know that I love to chew on e-cigars while I write. The head of this e-cigar looks like all the others, but it's not. 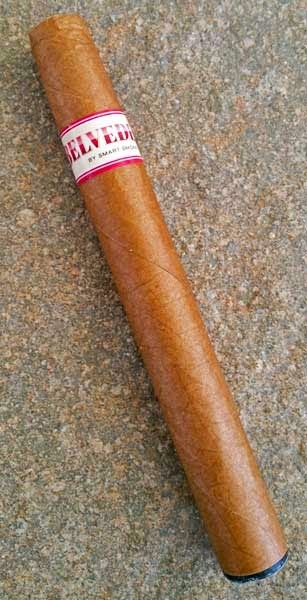 This one has much softer bite area providing a more realistic "cigar-like" experience. Continuing with the "cigar-like experience theme, let's talk about flavors. The flavor mix of the Original Belvedere™ Smart Smoke® E-Cigar has notes reminiscent of fermented tobacco, brown sugar and a hint of rum. 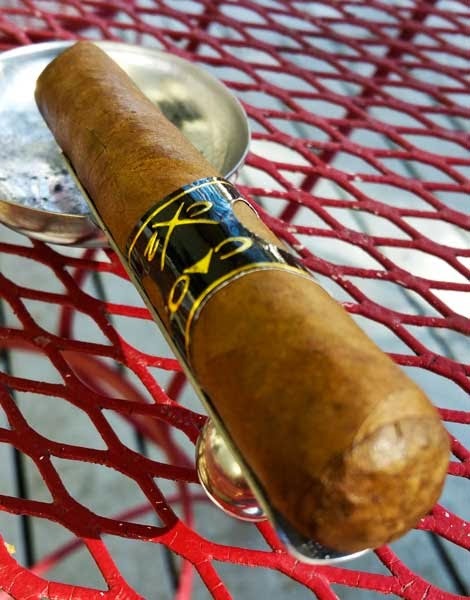 Although the flavors are a bit softer or lighter than expected, the mix is flavorful enough to remind me of a mild Connecticut wrapped cigar. While the flavors are good and the construction is top notch, the highlight of the Belvedere™ is vapor production. Let me tell you, this e-cigar really pumps out a high volume of vapor. For my puffing style this model produces more vapor than any other e-product I've tested to date and that's a big plus in my book. You know what I mean, we've all smoked a few cigars that put out huge volumes of smoke compared to the rest, well that's how much vapor this e-cigar produces. It's just a guess, but I bet the increased weight of the Belvedere™ comes from a stronger battery and a higher quality vaporizer, which in turn equals higher vapor output and that I like. Smart Smoke® claims the Belvedere™ is the equivalent of six double corona sized cigars. I've already racked up over five hours of puffing on this Original model and it's still going strong. That leads me to believe their claim is true. The Belvedere™ Smart Smoke® E-Cigar sells on smartsmoke.com for $14.99 with free shipping and it's available in original, cherry, grape, honey, or vanilla flavors. Plus for $11.99 there is a 500 puff Belvedere Slim™ model available on their website. Overall the Belvedere™ Smart Smoke® E-Cigar is a top-notch product and with some will power, I may have finally found and e-product that will help me stop smoking cigarettes. Stay tuned, reviews on the other flavors and the Slim model will be coming soon. Basel/Switzerland, March 2015: The Davidoff Golf Masters Edition 2015 has been created with moments of shared golf pleasure in mind. "Aficionados who enjoy a round of golf with friends while contemplating the perfect scenery of the course, and find pleasure in the great camaraderie and celebration at the clubhouse after their game, will fill their time beautifully with these exceptionally crafted cigars,” explains Charles Awad, Senior Vice President Global Marketing & Innovation at Oettinger Davidoff AG. For these new cigars, the Davidoff Master Blenders decided to play the long game, taking adventurous, great shots. They have focused on delivering rich aromas by mixing exclusive and specially matured tobaccos. 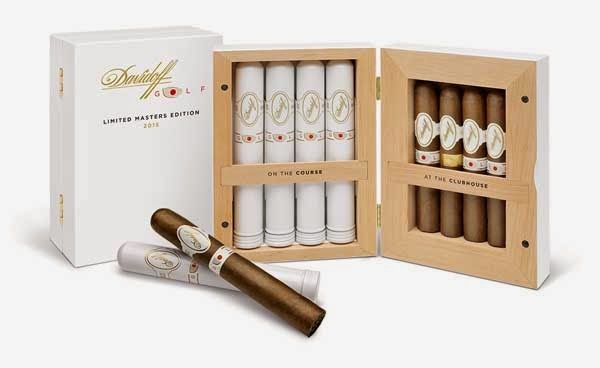 The Davidoff Golf Limited Masters Edition 2015 comprises two formats - Toro and Robusto - that are specifically designed for the course and the clubhouse. The Toro for the Course: this format balances the blend to delight the golf players on the course with a less dominant experience, and guarantees flawless combustion thanks to the Volado and Seco leaves. The Robusto for the Clubhouse: richer and spicier than the Toro format, it delivers its aromas in a more intense way. Both formats are medium to medium-strong blends, and are crafted with eight-year-old typical Dominican filler tobaccos: Piloto Volado, San Vicente Visus, Piloto Visus Hybrid and Corojo/Olor Seco. These rare and exclusive filler tobaccos, together with the Ecuador Connecticut wrapper and the Dominican Criollo binder, enable elegant enjoyment and deliver pronounced notes of wood, milk coffee and roasted almonds followed by a creamy aftertaste. They share the same blend and allow the aficionado to enjoy the cigars’ intensive but balanced and nuanced taste over each round of Golf or at the clubhouse – the ultimate way to fill time beautifully. The beautifully crafted cigar box, finished in a white piano lacquer, opens like a book. It boasts 4 Toros and 4 Robustos. Moreover, in order to highlight this very special Davidoff Golf Limited Masters Edition, all Toros and three out of the four Robustos feature an exclusive “Golf” second ring. The second ring in gold on the last Robusto serves to reward and honor the winner. This Limited Edition is the ideal gift or collectors’ item. This Davidoff Golf Limited Masters Edition 2015 is limited to 7’500 boxes worldwide and will be available to cigar and golf aficionados at selected Appointed Merchants in the US, and at Davidoff Depositaires/Davidoff Flagship Stores worldwide starting in April 2015. Basel/Hong Kong, March 2015. The new Davidoff humidor collection – “Cave de Paille” – has been created in collaboration with French Artist Lison de Caunes. With these masterpiece humidors, Davidoff reaches new heights by showingcasing a craft requiring exceptional thoroughness, imagination and time. A craft that reflects the key traits of Davidoff Accessories by combining Art and Craftsmanship. Time and the art of filling time beautifully are at the core of the craftsmanship for Davidoff cigars: the time it takes to grow and age the tobacco, the time it takes to perfect the right blends and the time it takes to hand roll and to enjoy the cigars. Likewise, time is at the heart of the Davidoff humidor as the cigar ages beautifully in its cocoon at the proper temperature and humidity. During the process of crafting cigars, the rhythms of nature play their part, transforming leaves from plants into pleasure. The Davidoff Master Blender oversees these changing forms. He watches the verdant green tobacco leaves flourish to their optimum quality, ages them for just the right amount of time to release truly aromatic, refined flavours, and judges when the rolled cigar has reached the perfect moment to be enjoyed - a pattern of moments in time that is unique to each tobacco blend produced by Davidoff Cigars. This new Davidoff collection of masterpiece humidors is inspired by such patterns in time. It has been created in collaboration with Lison de Caunes, who has dedicated herself to the art of straw marquetry, continuing the tradition established by her grandfather Andre Groult. Just like the Davidoff Master Blender, Lison de Caunes epitomises the ‘métier d’art’ by crafting truly exquisite pieces from the most humble and fragile natural ingredient, straw, that when properly cared for, only becomes more beautiful with time. She has been the artistic director on this process, like the leaf, from the very beginning: from choosing the shape of the humidor to tailoring the collection, and elaborating the patterns in time which capture this journey. She has chosen the classic Dome with its rounded shape to better reveal the subtle lustre of the straw. In this Davidoff humidor collection, consisting of three pieces, each humidor captures a significant moment in the life of a Davidoff cigar. The first humidor in the collection – “Saison 1” – will be showcased during Art Basel Hong Kong. The creation of this humidor is inspired by the growing tobacco leaf, captured at the perfect moment of picking: green, rich and full of life. Only ten masterpieces will be available at Davidoff Flagship Stores in the USA, the Emirates, Europe and Asia from March 2015 onwards. The second humidor in the collection – “Saison 2” – will be revealed at Art Basel in Basel. This second masterpiece is inspired by the cigar bundles, aged to perfection for the moment of rolling: warm, earthy and subtly refined. It will be available in limited quantities only at Davidoff Flagship Stores in the USA, the Emirates, Europe and Asia from June 2015 onwards. To complete the collection, the third humidor – “Saison 3” – will be unveiled at Art Basel Miami Beach. This humidor masterpiece is inspired by the smoke as it fluctuates upon enjoyment: dark, enigmatic and deliciously rewarding. It will be available in limited quantities only at Davidoff Flagship Stores in the USA, the Emirates, Europe and Asia from December 2015 onwards. The inside of the humidor comes in a varnished, exclusively selected okuméwood, specifically chosen to preserve the individual flavour of each cigar. Each Davidoff humidor is equipped with a state of the art self-regulating system that absorbs and releases humidity as required, automatically ensuring the consistent quality of the cigars under its attentive care. After studying at the Union Centrale des Arts Decoratifs, Lison de Caunes dedicated herself to the art of straw marquetry for many years, therefore perpetuating her grandfather Andre Groult’s tradition. She became a straw marquetry specialist; she rehabilitates these poetic practices by restoring furniture and objects from the 17th century to the Art Deco period and by creating furniture, domestic accessories and wall panels to order. Just like fine wine, premium cigars need to be stored in the right environment in order to emerge matured and improved. It was Zino Davidoff who first invested time researching and developing optimum ways for storing the finest quality cigars. The time spent in the humidor during the aging process takes place, requires absolute control of humidity and temperature. Taking such factors into consideration, he built his first and famous cigar cellar in 1930. However, not all connoisseurs have a cigar cellar at their disposal; thus he pioneered the first humidor so that cigar-lovers might store their prized possessions on a smaller scale. For Zino, it was not enough to pursue excellence inside the humidor. In 1965 he started collaborating with a skilled cabinet maker workshop. These caskets were the first to display Davidoff’s desire to produce humidors fit to grace and complement any modern and contemporary design environment. Davidoff humidors have gone on to be made by a variety of craftsmen and to set standards of aesthetic appeal equally matching those of technological efficiency. Innovation in the art and the science of humidors has gone hand-in-hand in Davidoff’s array of possibilities for humidor design. The Davidoff regulator, for instance, broke new ground with the first self-regulating system dispensing with the need for a controlling hygrometer. Each humidor, like each cigar, is the product of time. Time painstakingly spent. Time lovingly applied. Time beautifully filled. The CHF 1.2 billion Oettinger Davidoff AG with over 3,500 employees around the world, traces its roots back to 1875 and remains family owned to this day with two distinctly different businesses: one that is focused on FMCG distribution in the Swiss market and one dedicated to the core business of producing, marketing and retailing premium branded cigars, tobacco products and accessories. The premium branded cigar business includes Davidoff, AVO, Camacho, Cusano, Griffin’s, Private Stock, Zino and Zino Platinum. Oettinger Davidoff AG is anchored in a strong “crop-to-shop” philosophy, having pursued a vertical integration from the tobacco fields in the Dominican Republic, Honduras and Nicaragua to the worldwide network of almost 70 Davidoff Flagship Stores. LOS ANGELES, CA – MARCH 12th, 2015 – Room101, the Los Angeles based luxury lifestyle brand owned by Matt Booth, is proud to announce its second release of the bespoke retailer exclusive series, the new Room101 Ichiban Roxxo. The second of the Ichiban Series, a 48 x 4, is headed to Cigar Realm in Ashland, VA and will be available for sale on April 1, 2015. 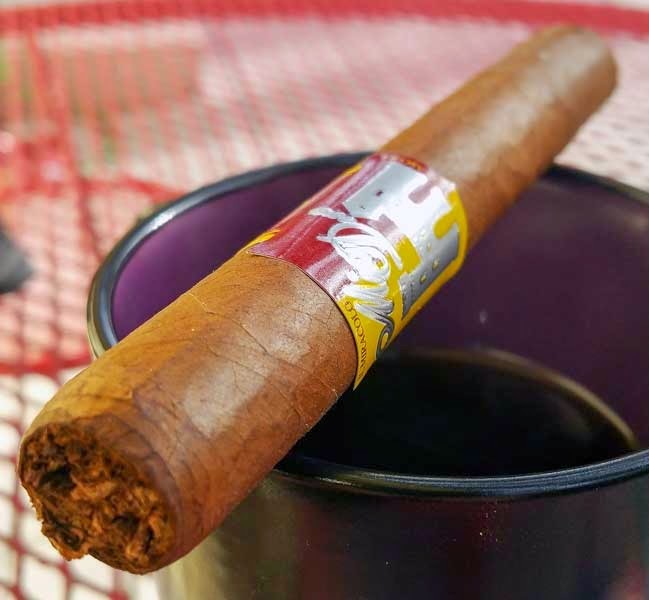 The cigar is medium-bodied and comprised of tobaccos from two different countries; a Habano wrapper from Ecuador, a Criollo 98 binder along with Corojo 99 fillers both from Nicaragua. 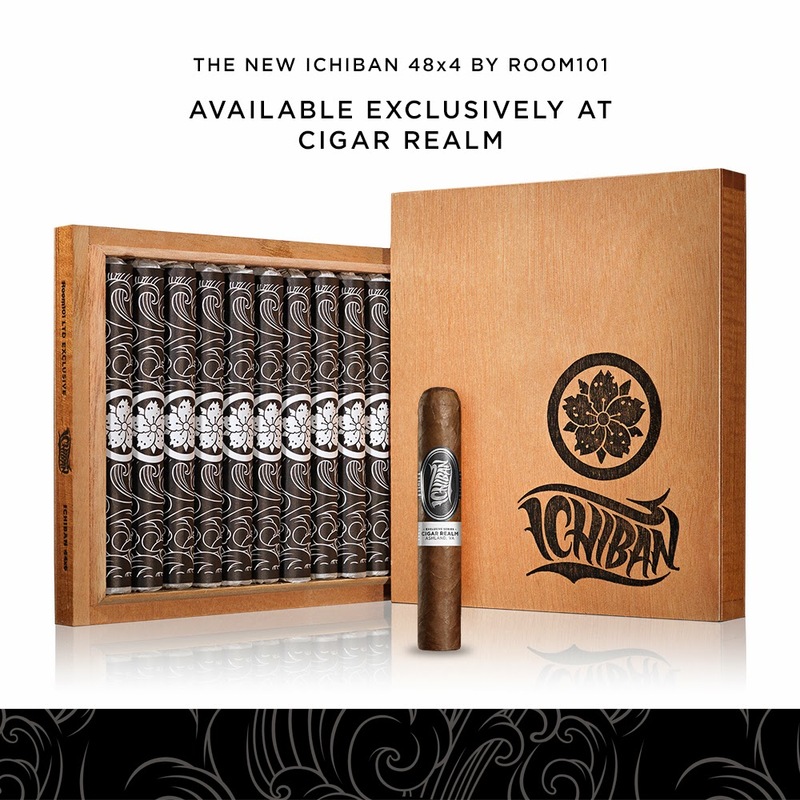 Packaging for the Ichiban is inspired from previous Room101 releases and features tissue-wrapped cigars bound in decorative outer sleeves with the distinctive Sakura brand mark and a Japanese wave pattern. Ichiban, which means “first” or “number one”, will be Room101’s most tightly distributed and exclusive release to date. Only eight hand-selected retailers across the country are able to carry the line, custom developed in an exclusive size with each retailer limited to 1,000 boxes of ten cigars. expect them to have the Room101 Ichiban Roxxo for long. Scott and team have been great partners of our brand for some time, it is an honor to be working with them on this project,” said Matt Booth. Matt Booth will host the kickoff event at Cigar Realm’s Ashland location on April 1st from 4 to 8 PM. to knives and premium cigars. Over the years, Room101 has been featured in top lifestyle, fashion, and specialty magazines worldwide as well as making several appearances on major network television. Room101 cigars are hand-built by AgroIndustrias Laepe, S.A. in Honduras and exclusively distributed by Davidoff of Geneva, USA. For order inquiries, please call 727-828-5400. Basel, Switzerland/Hong Kong, March 12, 2015 - As Associate Partner of Art Basel for the third consecutive year, Oettinger Davidoff will unveil a newly designed VIP hospitality lounge in the Collectors Lounge at Art Basel’s Hong Kong show from March 15 – 17, 2015. The new lounge will feature the Davidoff Art Initiative’s global programming and artists. During the Hong Kong show, the Basel-based manufacturer of premium cigars will unveil the most recent installment in its Masterpiece Humidor Collection, a new humidor collection designed by Paris-based artist Lison de Caunes, featuring the traditional artisan technique of marqueterie de paille (straw marquetry). The new Davidoff Lounge at Art Basel in Hong Kong was designed by the renowned Swiss firm of Atelier Oï and will showcase the activities of the Davidoff Art Initiative, Davidoff’s international art program, which supports contemporary art and artists of the Dominican Republic and the Caribbean region. The lounge will give expression to Oettinger Davidoff’s core values: the company’s respect for the natural environment, its support for the time-honored techniques of premium tobacco cultivation and cigar production, its embrace of the cultural heritage and contemporary artistic vibrancy of the Caribbean region. It will convey a feeling of warmth, luxury, and authenticity associated with the Caribbean and reflected in Davidoff’s motto, Time Beautifully Filled. As the centerpiece of the newly designed lounge, a digital screen will feature interactive images from the Davidoff Art Initiative’s growing network of Caribbean artists and arts organizations, as well as the five international artists currently in residence at the Altos de Chavón School of Design in the Dominican Republic. An Instagram feed of images generated by artists and organizations linked to the Davidoff Art Initiative will provide a window into the program, which since its inception in 2012, has worked closely with the contemporary artists across the region. The Davidoff Lounge will also feature photographs by Polibio Díaz, the most recent Dominican artist to participate in the Davidoff Art Residency program at the International Studio and Curatorial Program (ISCP) in Brooklyn, New York, in the fall of 2014. During the Art Basel show in Hong Kong, Davidoff will unveil the first edition in a new humidor collection, “Cave de Paille,” created in collaboration with Paris-based artist Lison de Caunes, to be part of Davidoff’s Masterpiece Humidor Collection. Crafted with the traditional technique of marqueterie de paille (straw marquetry), this new humidor collection of three editions will showcase Davidoff’s respect for materials and its dedication to creativity, authenticity, and luxury. Lison de Caunes crafts pieces from straw, one of the most humble and fragile natural elements. Her inspiration for the collection, she says, was the similarity between straw and tobacco. The first edition of the new collection – Saison I – will feature the tobacco leaf motif. With the traditional dome shape of the humidor, the gentle glow of the straw will be subtly revealed. Each of the three pieces in the collection will capture a critical moment in the life of a Davidoff cigar, beginning with the growing tobacco leaf for the first edition. As artistic director, the artist collaborated with Davidoff through the entire creative process: from choosing the unique dome shape of the humidor to tailoring the collection, and visually evoking the moments in time that capture the journey starting with the verdant green tobacco leaves to when the rolled cigar has reached the perfect moment to be enjoyed. ‘Saison I’ will be available in limited quantities at Davidoff Flagship Stores in the US, the Emirates, Europe and Asia from March 2015. 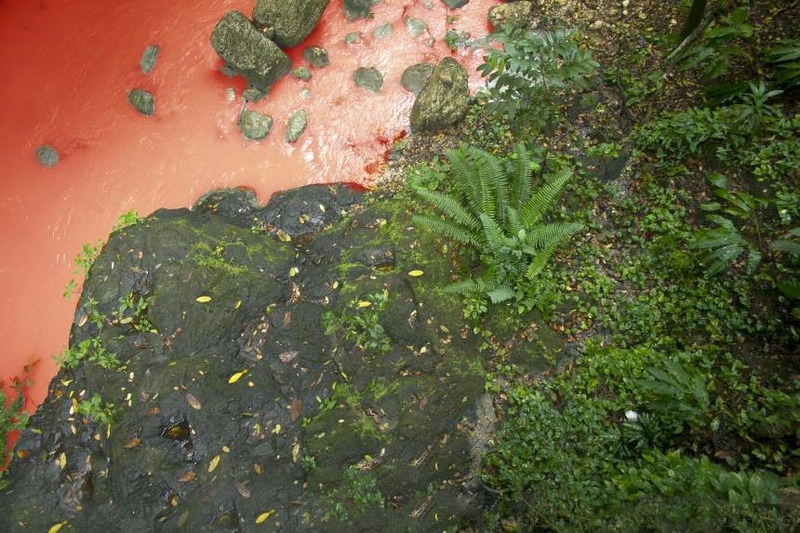 The next two editions will be unveiled at Art Basel’s Basel and Miami Beach shows in 2015. The combination of creativity and craftsmanship is a hallmark of all Davidoff accessories. Time and the pleasures of filling time beautifully lie at the core of the Davidoff cigar experience. Time is intrinsic to the function of the humidor, where cigars age in a carefully controlled temperature and humidity. The Davidoff Art Initiative supports contemporary art and artists in the Caribbean, strengthens art organizations in the Dominican Republic, shares knowledge and expertise about contemporary art and fosters cultural engagement between the Caribbean and the rest of the world. 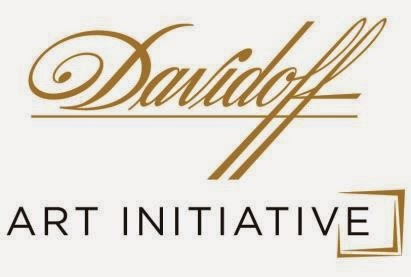 At the core of the Art Initiative, Davidoff aims to engage closely with the arts and culture of the Dominican Republic, where much of its production and many of its employees are based, bringing opportunity and visibility to the art and culture of the Caribbean region, and extending the company’s long-standing commitment to artistry, craftsmanship, community and quality. The Davidoff Art Initiative’s four global program areas are: Art Residency, Art Dialogues, Art Grants, and Art Editions. Just like fine wine, premium cigars need to be stored in the right environment in order to emerge matured and improved. It was Zino Davidoff who first invested time researching and developing optimum ways for storing the finest quality cigars. The time spent in the humidor during the aging process takes place, and requires absolute control of humidity and temperature. Taking such factors into consideration, he built his first and famous cigar cellar in 1930. However, not all connoisseurs have a cigar cellar at their disposal; thus he pioneered the first humidor so that cigar-lovers might store their prized possessions on a smaller scale. For Zino Davidoff, it was not enough to pursue excellence inside the humidor. In 1965, he started collaborating with a skilled cabinet-maker workshop. These caskets were the first to display Davidoff’s desire to produce humidors fit to grace and complement any modern and contemporary design environment. Davidoff humidors have gone on to be made by a variety of craftsmen and to set standards of aesthetic appeal equally matching those of technological efficiency. Innovation in the art and the science of humidors has gone hand-in-hand in Davidoff’s array of possibilities for humidor design. The Davidoff regulator, for instance, broke new ground with the first self-regulating system dispensing with the need for a controlling hygrometer. Each humidor, like each cigar, is the product of time. Time painstakingly spent. Time lovingly applied. The CHF 1.2 billion Oettinger Davidoff AG, with over 3,500 employees around the world, traces its roots back to 1875 and remains family owned to this day with two distinctly different businesses: one that is focused on FMCG distribution in the Swiss market and one dedicated to the core business of producing, marketing and retailing premium branded cigars, tobacco products and accessories. The premium branded cigar business includes Davidoff, AVO, Camacho, Cusano, Griffin’s, Private Stock, Zino and Zino Platinum. Oettinger Davidoff AG is anchored in a strong “crop-to-shop” philosophy, having pursued a vertical integration from the tobacco fields in the Dominican Republic, Honduras and Nicaragua to the worldwide network of almost 70 Davidoff Flagship Stores. 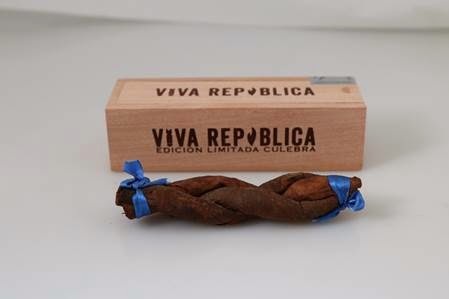 MIAMI, FL – Viva Republica™ is pleased to announce the release of its Limited Edition Culebra. 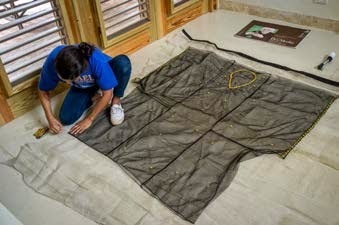 The Company has produced one thousand (1,000) coffins each containing a traditional three-piece culebra. The Culebra is comprised of three unique blends, featuring that of the Company’s Rapture, Rapture Maduro and Guerrilla Warfare brands. The three cigars each feature a length of 5.75,” in a 39-ring gauge. Inside the five-packs include a production memo. This identifies the three pieces by wrapper, shade and discloses the blend breakdown for each cigar. The official launch will be held during the DC Tweet Up on Saturday, March 14 at Tobaccology in Manassas, VA from 1:00 pm to 3:00 pm. This limited run carries a Manufacturers Suggested Retail Price of $18, exclusive of any applicable taxes and tariffs. The coffins will ship to authorized Viva Republica retailers in five-pack units. Left: The Davidoff Art Initiative Studios in Altos de Chavón, Dominican Republic. 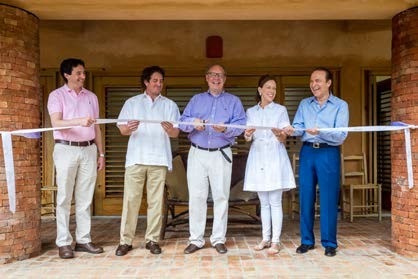 Right: Eduardo Lima-Martinez, Central Romana Vice President of Administration; Leo Matos, Administrative Vice President of Central Romana Corporation; Hans-Kristian Hoejsgaard, CEO and Member of the Board, Oettinger Davidoff AG; Dominique Bluhdorn, Founder of Altos de Chavón Cultural Center Foundation; and Claudio Silvestri, Chairman and CEO of Premier Resorts & Hotels. Davidoff Art Weekend 2015. Photo by Alfredo Esteban. 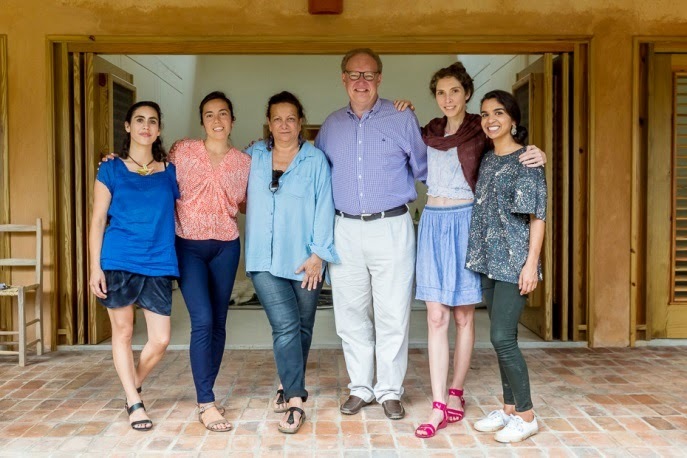 Basel, Switzerland, February 26, 2015 – On February 11-16, 2015, the Davidoff Art Initiative hosted the second Davidoff Art Weekend in collaboration with Altos de Chavón School of Design and Casa de Campo in the Dominican Republic. 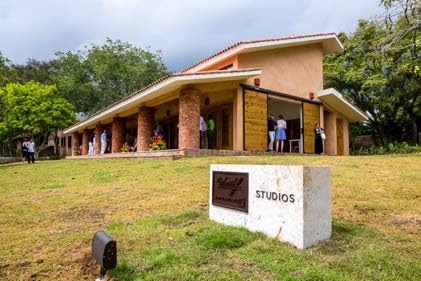 The culminating event of the weekend was the visit to the new artist studio facilities for the Davidoff International Art Residency at Altos de Chavón School of Design, which is currently hosting its first five international artists through April 5, 2015, thus rounding out the global initiative into a two-way cultural exchange. The weekend began with a tour of the tobacco fields and Davidoff facilities near Santiago, where the guests enjoyed an exclusive introduction into the production of premium cigars from the crop to the hand rolled cigar. 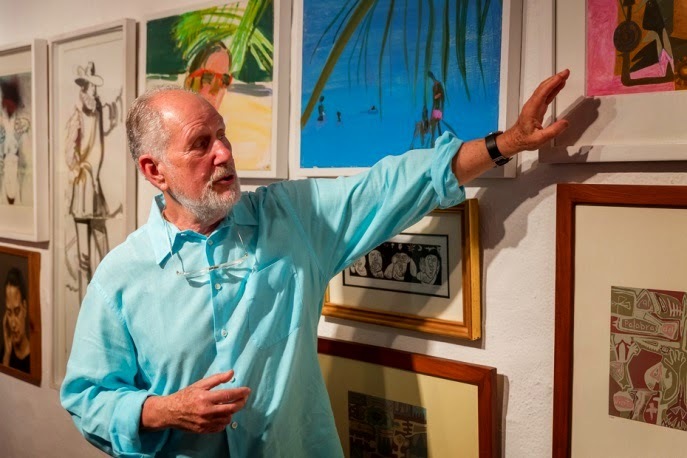 At Altos de Chavón School of Design’s Chavón Gallery, Rector of the School Stephen Kaplan led a tour of the current exhibition, Synergy: Artists in Residence and Students, a celebration of the arrival of the first five Davidoff Art Initiative artists in residence. The exhibition documents the history of Altos de Chavón’s long-established Artist in Residence Program, and underscores the influence of AIRs on the students of the school. groundbreaking presence of the Davidoff Art Initiative in the region. Clockwise from top left: Artists Cathleen Mooses, Alia Farid, Soledad Salamé, Nuria Montiel and Mathilde Rosier. Photo by Alfredo Esteban. 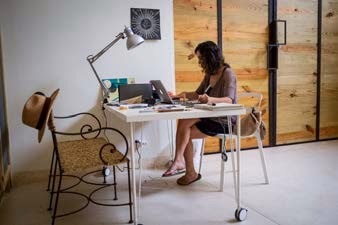 The Davidoff International Art Residency is the cornerstone of the Davidoff Art Initiative and seeks to offer opportunities for creative exchange between the Caribbean and the Dominican Republic and the rest of the world. Going forward, each year, the Davidoff Art Initiative will welcome five international artists to Altos de Chavón School of Design to work on their own projects, interact with school students and faculty, and travel inside the Dominican Republic. The collaborating organizations intend the Davidoff Art Weekend to become an important annual event for those interested in the arts and culture of the Caribbean and the Dominican Republic to gather together, network with each other, and immerse themselves in the arts and culture of the region. The Davidoff Art Initiative supports contemporary art and artists in the Caribbean, strengthens art organizations in the Dominican Republic, shares knowledge and expertise about contemporary art and fosters cultural engagement between the Caribbean and the rest of the world. At the core of the Art Initiative, Davidoff aims to engage closely with the arts and culture of the Dominican Republic cultural community, where much of its production and so many of its employees are based, bring opportunity and visibility to the art and culture of the Caribbean region, extending the company’s long-standing commitment to artistry, craftsmanship, community and quality. Basel/Altos de Chavón (D.R. ), March 2015. The first Ladies‘ Masterclass in the Caribbean was held by Oettinger Davidoff AG and Casa de Campo, Premier Resorts & Hotels, on 23 February 2015 in Altos de Chavón, La Romana, Dominican Republic. During the champagne reception, the Dominican Trio “Grupo Bien”, sang the most popular rancheros of the island and welcomed the ladies who wanted to learn more about cigars at first hand. In the light of a magnificent sunset, the 40 invited señoras gathered on the terrace of the Café Marietta in the pituresque Altos de Chavón for the pleasant and content-rich master class, which was held under the motto "Time Beautifully Filled". Vincent Krembel, International Brand Ambassador of Oettinger Davidoff AG, demonstrated the dos and don'ts of cigar enjoyment during the sensory soirée - from selecting the cigar, lighting and cutting it and to how to enjoy it. The programme also included a brief introduction of the process of tobacco production, from the seeding and harvesting to the blending and rolling of a premium cigar. This was followed by tapas and a cigar tasting session, allowing the participants to finish the evening with Caribbean flair. 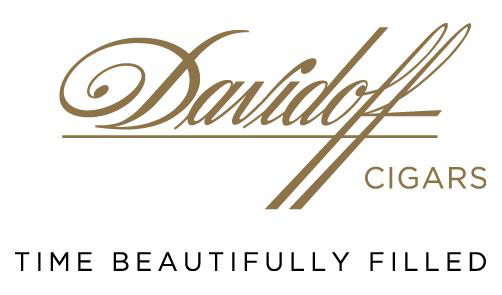 "The Davidoff Ladies‘ Masterclass is aimed at modern women who want to discover the world of cigars. Women who like to spend time together and enjoy asking questions about cigars without any inhibitions. Whether in London, Brussels, Vienna, or here in the Dominican Republic, we are increasingly noticing from the increasing demand, that enjoying cigars is no longer exclusively a man's privilege," confirms Paloma Szathmáry, Senior Vice President Corporate Communications of Oettinger Davidoff AG. Those who had acquired a taste were able to continue the evening's rich gourmet journey by visiting the tobacco fields and Davidoff's production premises. I'm really a fan of the cigars produced by the Foundry Tobacco Company and this Elements, Calcium is another nice one. There were issues with the wrapper and the burn on this stick, but the fantastic flavor mix more than made up for those small problems. 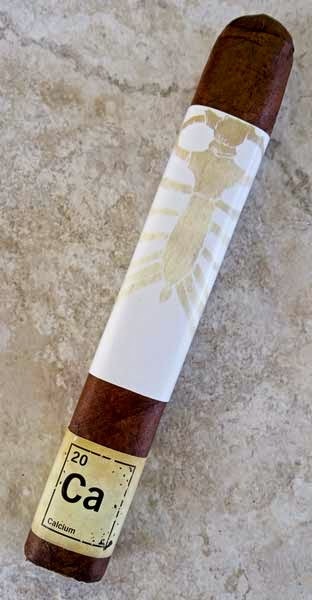 Even though I'm running a bit behind on reviews, I like Foundry cigars so much that I couldn't resist plucking this cigar out of its cool looking box on my last visit to Cigar Train. The Calcium Robusto is box-pressed and covered by another of Foundry's great looking bands. Under the band there's a seamless, oily, maduro colored wrapper that only has a few smaller veins. I have to mention I was a bit disappointed because this wrapper had three, pencil eraser sized holes. Two were covered by the foot band, and the third was just below the triple cap. I'm happy to report that the holes didn't become an issue as the cigar burned they were only a cosmetic flaw. From the cold foot there were faint notes of fruit or richly fermented tobacco to the nose, while the freed draw contained the same nuances of fruit. The first draws from the burning cigar were a mild bodied mix of spice, fruit and cocoa. An oily sheen immediately developed just ahead of the burn and flavors of toast and caramel quickly joined the mix. The toast, cocoa and caramel flavor mix continued until the final third were a few puffs of bold red pepper showed up. Just as the red pepper hit, the burn took off running up one side and eventually needed a correction. 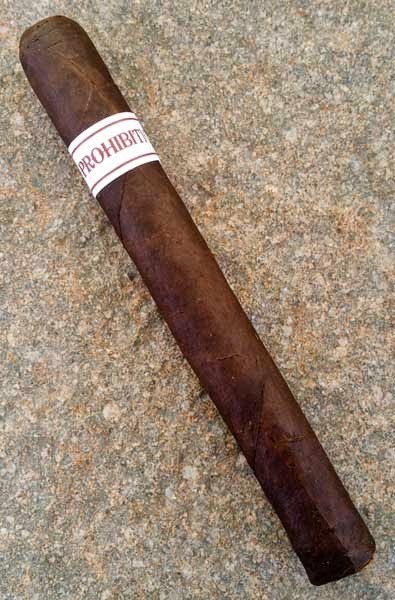 Finishing a nice fifty-five minute burn the cigar ended with medium bodied flavors of cocoa and fermented tobacco. It was a pretty tasty flavor mix in my opinion. Although there were a couple minor problems with this cigar, it won't keep me from picking up more and I wouldn't shy away from it if I were you. The flavor mix makes the Foundry Tobacco Company Elements Calcium a very worthy smoke. Smoking the Mia Dora Corona you'll find a complex flavor mix ranging from spicy and sweet to earthy. Couple complex flavors with top notch construction and you have one nice smoke. My first opportunity to smoke the Mia Dora was last year as a pre-release toro and it was an impressive cigar. The Mia Dora Corona from Emilio Cigars starts with a seamless Colorado Claro colored Habano Rosado wrapper covering a Nicaraguan binder and fillers. Visually inspecting the cigar there only small veins visible in the wrapper, the wrapper has a nice oily gloss and it's finished with a triple cap. Checking the cold cigar for aromas and flavors there are notes of spicy sweet tea from the foot and the free draw tastes like spicy tea mixed with fruit. After toasting the foot the first flavors were a mix of medium/full bodied spice mixed with fruit. The spice quickly mellowed, as did the body, when flavors of black tea and fermented tobacco moved in. Soon to follow were notes of brown sugar, toast, cedar, a hint of black pepper, and sweet nutty pecans. With a flavor mix of peaty earth, toast and caramel the Mia Dora finished it's fifty minute burn in the medium body range. I'd like to thank House of Emilio for providing this sample. Silky smooth with notes of sweet caramel and mandarin orange up front, this El Salvador Malacara-B from Roast House Coffee produces an exciting, complex and decadent brew. Once the bag's seal is cracked it's apparent these beans have been roasted to unlock their full potential as an aroma of toasty cocoa rises from the bag to greet the nose. After the beans are ground the aroma changes to a sweet mix of Mandarin orange and creamy caramel. During the pour-over the same sweet aromas swell drifting several feet into the room. From the hot cup the aroma shifts a bit with sweet, nutty, nuances of pecans and caramel. The first sips are light, smooth and slightly creamy leaving behind a soft, lingering palate wash with flavors of Mandarin orange and pecans coming to the forefront. 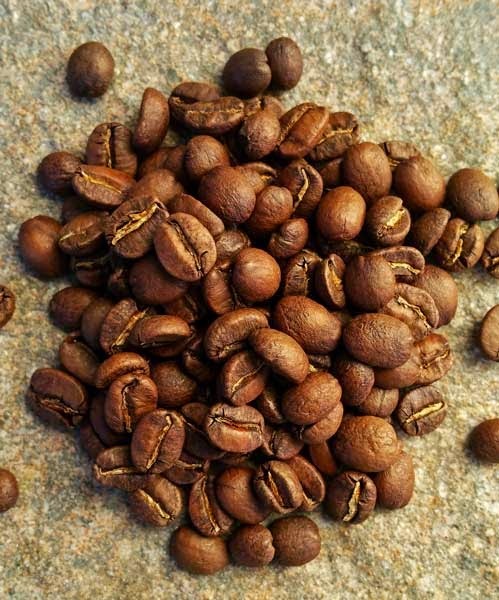 As the cupped coffee cools soft notes of earthiness develop while the sweet Mandarin orange changes to more of a tart naval orange flavor, but the sweet caramel remains giving the coffee a captivating sweet and sour type of flavor profile. (Miami, Florida) March 4, 2015— Roberto P. Duran Premium Cigars proudly announces the expansion of its sales force to include industry veteran Strom Farbarik and Carolee Martin. Roberto Pelayo Duran has aggressively bolstered his sales team as this news comes only months after the additions of National Sales Manager Miguel Schoedel, Jack Torano, and Frank Cuden. Carolee Martin brings along a stellar background as she served as the Department of Defense GS 15 Senior Advisor for Special Operations in Afghanistan in support of Operation Enduring Freedom. In Afghanistan Carolee’s passion for cigars led her to become the first female President, of the Tali-banned Cigar Aficionado Club, Camp Gibson Chapter. Carolee was recognized for her contributions, as she was the first inductee into the Xicar Hall of Fame. Carolee’s new role will be as the Southwest Regional Manager. Strom Farbarik discovered his passion for cigars in the early 90’s. As a manager for Mike Ditka’s Restaurant, Strom was heavily recruited by CAO. He quickly became a top representative, which led him to being awarded the “Salesman of the Year” award at CAO in 2010. Strom will oversee sales in NJ, DC, VA, WV, MD, DE, NC, and SC. For more information about Roberto P. Duran Premium Cigars, please visit www.Robertodurancigars.com. For media inquiries and interviews, please contact Creativas Group at info@creativasgroup.com or 305.968.2384. (Miami, Florida) February 3, 2015— A.J. Fernandez Cigars, recognized for creating some of the most acclaimed cigars in the industry proudly announces the unveiling of the AJ Fernandez Lounge at The Perfect Smoke Cigar Lounge located at 213 South Lee Street, Salisbury, NC 28144. The Perfect Smoke Cigar Lounge opened its doors under the helm of owner and operator Darren Moody on July 26, 2012. Darren revitalized a Victorian house built in the 1870’s, were the shop now thrives. Darren and The Perfect Smoke Manager, Jeff Watkins traveled to Nicaragua in December of 2013 to visit various factories which led him to strike a friendship with A.J. Fernandez. Very quickly, the talks of collaborating, to create an A.J. Fernandez Lounge within The Perfect Smoke Cigar Lounge was under way. Once inside the A.J. Fernandez Lounge you are greeted by a life sized mural of A.J. Fernandez, standing in front of his curing barn, at the San Lotano fields. The room is filled with dark leather lounge furniture, in where you are surrounded by images of A.J. Fernandez in his element, either working in the field or rolling new blends. The A.J. Fernandez logo appears throughout the lounge, along with boxes and branded material. The cedar lined walk in humidor is just over 100 square feet in size, featuring over 150 lines of long filler “handmade” cigars, mainly from Nicaragua, Dominican Republic, and Honduras. The Perfect Smoke is a very unique cigar shop, as it was built out within a renovated Victorian home, from the late 1870’s. Darren was recognized by the Historic Salisbury Foundation, for revitalizing this structure, which is on the Historic Registry. It is located within the “Historic District” of downtown Salisbury (N.C.). Each room of The Perfect Smoke offers a distinct theme spanning from a golf theme, train room, hunting theme room, and a library. Top notch construction, a hearty Connecticut Broadleaf vintage 2010 wrapper, plus big medium/full bodied flavor notes of espresso and chocolate. Does this sound like great cigar to you? It does to me. Read on and see how it smoked out. On my last visit to Cigar Train I noticed a box of ROMEO Añejo Robusto by Romeo y Julieta so I plucked one from the box and brought it home. In hindsight I should have grabbed a couple more. Construction of this cigar is just what you'd expect from RyJ. It's seamless, the thick maduro colored wrapper has a couple of medium veins, but its packed well full length and topped with a tight triple cap. Checking the cold aromas, the foot has a nice spicy fermented tobacco aroma while the free and airy cold draw has delicious notes of fruity chocolate. Once the foot was toasted and burning the first draws contained notes of earth and cocoa. As the slightly wavy burn moved up the body there were some fruity floral flavors, a bit of oak, chocolate and some espresso. Very tasty! The Añejo Robusto finished its fifty-five minute burn with satisfying flavor mix of burnt mocha, a dash of black pepper and a bit of oak. With a smorgasbord of vintage tobaccos, Romeo y Julieta delivers another winner that fits my palate extremely well. Like I said earlier, I should have grabbed a couple more of these just to smoke. With a toasty cocoa flavor mix, top notch construction and a nice burn time, this Prohibition, San Andreas is another winner from Rocky Patel. Let's take a closer look and find out why. I picked this cigar up from Cigar Train a while back and just picked up the Broadleaf the other day so I'll review it soon. This Prohibition is covered by a stout, toothy and oily maduro colored San Andreas wrapper. Checking aromas from the foot there's a nice note of cocoa, while the free draw has nuances of oak combined with spicy cedar. Once the cigar is toasted and burning there are initial medium bodied flavors of cocoa and leather. As the burn progresses nuances of spicy cedar, toast and toasted nuts join in. The burn's a bit wavy in the first half, but it corrects itself by the midpoint and the second half has lots and lots of chocolate in the flavor mix. The Rocky Patel Prohibition San Andreas finishes its sixty-five minute burn with my favorite flavor of burnt mocha mixed with toast. Overall I really enjoyed this San Andreas and I'm excited to give the Broadleaf version a spin. Try this stick out, I think you'll like it too. 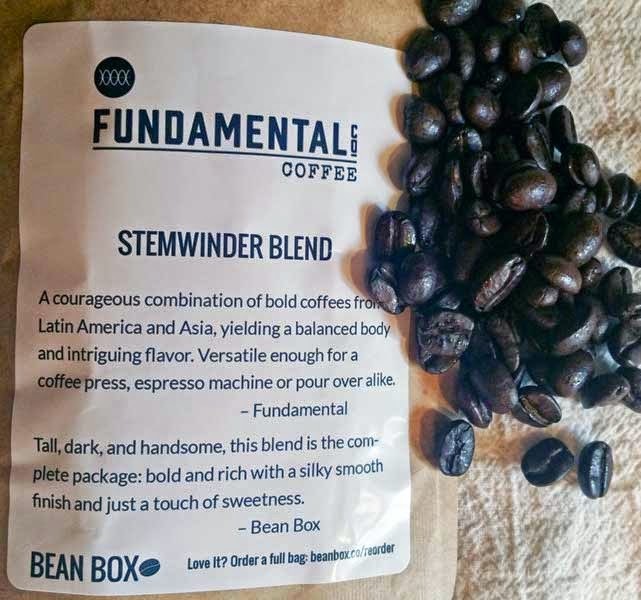 This last Bean Box sample is the Stemwinder Blend By Fundamental Coffee Company. It's a four country blend dark roast that delivers a totally unexpected bright and lively sipping experience. Let's look a bit closer and see how this roast brews up. Opening the bag your nose is rewarded with an immediate blast of rich earthy chocolate from the oily, darkly roasted beans. After grinding the the beans into coffee, the notes of chocolate are more prominent, but once hot water is introduced the aroma profile really changes. Wet, the aroma swells as the coffee blooms and there's a nice vegetal aroma of sauteed celery, But that's just the first impression. As the pour-over progresses the coffee gives off more of a pot roast aroma. You know what I mean, that warm, mouthwatering aroma reminiscent of a roast and veggies simmering all day in a slow cooker. Yes, it's aromatic as it brews, but sipping the Stemwinder is the real highlight. It's a dark roast and I was expecting a syrupy mouthfeel and deep, earthy flavor notes. You can imagine my surprise when the first hot sips were bright, crisp and quite lively with a sweet, but cleansing palate wash. The flavors were a delicious mix of bright, sweet, earthy, cocoa with a hint of spice. As the brew cooled in the cup the mouthfeel did change providing a more familiar soft and syrupy mouthfeel, but the coffee remained sweet with a clean finish.